It nice to have friends with some pull. After waiting too long to get our own damn tickets, Don and I got the great news yesterday that we have scored Brewers Passes to the Great American Beer Fest, courtesy of Boise beer gurus Rick Boyd and Chris Oates at Brewforia. A million thanks guys! Don and I quickly busied ourselves making travel plans to Denver and deciding what gear we want to bring with us. But now that the dust has settled, I have to admit I’m a little overwhelmed by the enormity of this event. I really have no idea where to start. Obviously we’ll drink some great beers and meet some great folks, but beyond that I’m clueless. We need a plan to get the most out of our first trip to GABF. We want to hook up with our blogger buddies who will be there, meet some brewers we worship, get a few awesome blog posts out of it, do some interviews, and maybe get matching tattoos (depends on how much beer we drink!). I think the epicenter of my fear is the immortal struggle between drinking beer and being productive. With so many new beers to try, it’ll be difficult to resist temptation and not get a little hammered. But being hammered will put a damper on our ability to get stuff done. Except talking that is, I’m a chatty drunk. Anyway, it’s a challenge to be professional when you’re tipsy. My plan so far is to only drink the very, very good stuff, drink lots of water, keep food in my belly and avoid lines if possible. That should take care of the physical part of it (mostly), but what about the rest of the action? If you’ve been to the GABF, let us know what’s a must-see and what to avoid. If you’ve always wanted to go to the GABF, let us know what you would do in our shoes. Sorry if it’s turning into “Needy Friday” on the blog (we’re asking for lots of reader input today! ), but we would deeply appreciate some perspective on this awesome opportunity. ← End of History, Pliny the Younger, Dark Lord: What Tops Your “Ungettables” List? I too was overwhelmed my first GABF, but quickly learned that you need to have a game plan. Of course it’s much easier to accomplish all you want if you go to at least 3 of the 4 sessions. One year I focused on a certian style of beer each day – and reviewed the program before hand to make sure I got to try all the beers I wanted. Thanks, Angela. Don and I are going to be there for Friday and Saturday only, so we’ll have to cram in a lot in 48 hours, but it should be a blast. i also have heard tell of off-site parties that are terrific as well, so we’ll have to figure out that piece of the puzzle, too. Chatty Drunk is an understatement! You couldn’t even talk last Sunday and you kept talking with no voice! I’m hoping that I can find someone that actually wants to listen to you once you’ve had a few, that way I can be the productive one! Have fun boys…I wish I could go too, but this year is way out of the question. Drink a beer in my honor while your over there. I got a lot of catching up to do here on BWB. I’ve been out of the internet loop for quite a while. We will certainly drink a beer in your honor. Actually, several! Good to see you back in these parts, Mike too. Okay, first things first, the floor of the GABF barely matters. Go, taste, enjoy yourself but don’t expect to accomplish anything beyond the “been there, done that” cred. Running into a brewer or anyone of note in the actual GABF is pretty unlikely. Sure, Charlie P. might be signing books or Sam Caligione might be pouring beer but they don’t have time to talk to you in any meaningful way. The actual festival is great fun but a terrible place to make contacts. One caveat – there is usually a book stand somewhere in the middle of the floor. You can meet some pretty interesting beer authors there; they hang out in shifts. Making contacts at the GABF is about the break-out parties and events, not the festival itself. Also, don’t expect or try to produce content while you’re there. Record everything, take pictures of everything but save the work for the week after when you’re back home. Thanks for the insight, Bryce – it’s exactly what I’m looking for here. Our goal is to “get the most” out of GABF, and while that involves trying great beers, it also means getting to know industry insiders so we can start to develop new kinds of content here on the site. Maybe I should make a deck of cards featuring 52 beer celebs, just like they did for the heavy hitters of Saddam Husein’s regime. This way I can scream “King of Clubs!” to Don when Greg Koch walks by. Sounds like great advice Bryce. We also have an invite to FreshCraft. I guess this is a new craft beer restaurant. I think for this first one we will be lucky to meet a lot of brewers, but want to experience the festival as “rookie” goers. I’m not sure what that means, but for sure it means we will be spending lots of time on the floor. So.. if you really want to make the ‘big connections’ go to the Pints for Prostates Rare Beer tasting on Friday afternoon. It’s a much smaller and more serious crowd, and all the big brewers are there pouring their rare stuff. We’re planning on it, Angela. It’s great beer and a good cause. Hadn’t thought of it as a networking opportunity, but that’s an added bonus. Maybe we can rope Sam into doing our podcast. It’d be fun to talk about how his TV show killed ours! Looking at the brewer’s list for Pints for Prostates makes me think the event alone is worth the trip. That’s an amazing group of beer makers for sure. I agree with just recording everything and putting the pieces together when you all get back home. 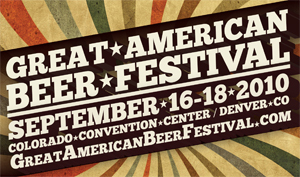 Its a crazy week from what i hear (this is my first GABF also) i do know some info on a few events though. I posted it on your facebook page a minute ago but will here also. Friday Sept 17th we are hosting a charity brunch for the Ladies of Craft Beer @ FreshCraft. 50% of proceeds benefit Breast Cancer Awareness. The food will be amazing and the Beer is always. we have 20 taps and over 65 bottles/cans. On top of that, Angela mentioned the Wyncoop event which i hear is awesome. Also The Kitchen in Boulder (http://www.thekitchencafe.com/) is hosting a pretty amazing dinner on Wed Sept 15th which i think will be more fun the GABF itself. Join five of the most avant garde and exciting craft brewers in the country for an unforgettable dining experience at Boulder’s The Kitchen Cafe. Hosted by Sam Calagione of Dogfish Head, Rob Tod of Allagash Brewing, Vinnie Cilurzo of Russian River Brewing, Tomme Arthur of Port Brewing/Lost Abbey and Adam Avery of Avery Brewing, the Gold Medal Dinner will feature new and mysterious brews expertly paired with cuisine from one of Colorado’s best restaurants, along with plenty of the fraternal jocularity that this group of men has become known for! Reservation will go on sale on Monday, August 23rd. Please call The Kitchen Upstairs at 303-544-5973 begin_of_the_skype_highlighting 303-544-5973 end_of_the_skype_highlighting for reservations and more information. Thanks for the info, Matt. That dinner in Boulder sounds amazing, but we’re hitting town on Friday morning, so we’ll miss it by two days. Bummer. I’m not sure we can make it to FreshCraft either, as our flights get in around 10am. It’s a brunch, right? Double bummer!! We could go from the airport, to FreshCraft, to the Pint for Prostates event and then check in at our hotel (if we can find it at that point!). Sounds like we’ll be tucked in our beds by 5pm!! Yea Freshcraft, Falling Rock, Wyncoop are all within 5 blocks of each other and GABF is walking distance from each location. I just hit a Belgian beer bar in Milwaukee, and the Tripel Karmeliet was my favorite of the bunch I sampled. Of course, I’m burned out on Belgians, so perhaps I didn’t give the others a fair shake. Thanks for the info. Denver sounds like it’s going to be a blast. Really hope I get to meet you guys in person. I’ve got family coming into town that weekend (my bday is sept 19th) so I won’t be able to do all the beer networking I should be doing, but oh well. I imagine productivity drops quite a bit i Denver during the beer fest, Billy. I hope we get to hook up. Don and I will be there from Friday until Sunday, so perhaps we’ll cross paths. 1) A day trip to Boulder before or after the fest. It’s an hour on the bus, there were 16 breweries when I was there last year, and it’s very accessible and fun. You meet real beer people at the breweries, and it’s a nice change from the insanity of GABF. Even if you’ve probably done a trip there or to Longmont before, it’s different around GABF. 2) As you know, Falling Rock Tap House is the unofficial home of the GABF. Go there early and often, and you’ll meet some awesome folks. Last year we met some Swedes who brought Swedish beer that we were able to share. Yeah. 3) My advice would be to abuse your pass as street cred on the floor. It will make you instantly cool to anyone without one, and one nice thing is that everyone loves talking beer, so you’ll have some great conversations if you want them. 4) The last session is skipped by a lot of beer people. I’ve heard it described as a “frat party,” which is probably a little harsh, but you get the point. Thanks Greg. It seems like we should run through the floor and set up shop at Falling Rock. I’m still not clear on what Brewer’s Passes do for us besides get us in the door, but it sure sounds cool. I’d love to get to Boulder as well. Even better, I’d love to let Don unleash his fury at Oskar Blues’ brewery. A woman scorned and all that! Will you guys be at the AHA session on Saturday? I will be there for that. Still figuring all of that out, Mike. I know we’re doing Pints For Prostates, but beyond that it’s all still a bit fuzzy. the reason we’re not sure Mike is because we have brewers passes, so we’re still a little fuzzy about what that gets us. If we can get into the AHA session without paying the hefty $83 fee we will do so, if not, maybe we can plan to meet up elsewhere. Sounds good guys. I’ll be out there Thursday through Sunday. Thursday we are doing a private event at Avery then going to New Belgium for a tour. Friday is looking like mostly brewery visits. Saturday morning we are trying to do the Bruery Breakfast then the AHA session. But keep me up to date, I’d love to throw a couple back with you guys.